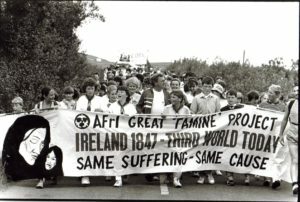 The 1988 Doolough Famine Walk was the first major initiative undertaken by Don Mullan for AFrI in the lead-up to the 150th anniversary of Ireland’s Great Famine. Mullan was not interested in history for the sake of history, nor was he interested in harnessing the memory of the Great ‘Famine’ as an anti-British bludgeoning weapon – though he was never shy of naming British colonial culpability. Rather, his focus was on the contemporary world. He argued that if the Irish, at home and abroad, believed that the Great ‘Famine’ was a seminal injustice, then we had a moral imperative to harness that memory in support of people struggling with the injustice of poverty and hunger today in a world of plenty. Mullan was particularly taken by the story of the Doolough Tragedy which he first came across in 1987 in a book by Áine Ní Cheanainn, The Heritage of Mayo (first edition 1982). 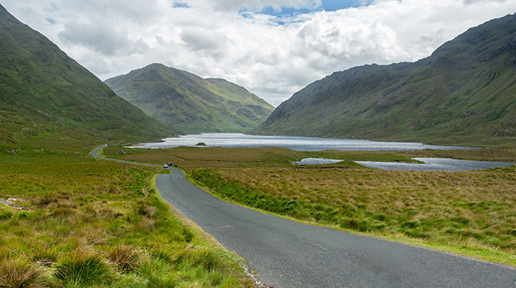 In her book Ní Cheanainn had a chapter about the impact of the Great Famine on her native County Mayo, and finished with a story headed ‘The Doolough Tragedy’. Mullan first read the story in bed one night and was so taken by it that the following day he read it to the AFrI staff. 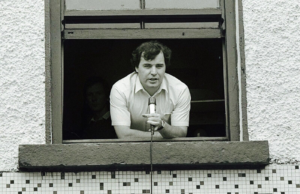 The power of Mullan’s idea is illustrated by the fact that the Doolough Walk has been organized annually since 1988, apart from a couple of years, after his departure from AFrI in 1994, when it was dropped. However, popular demand encouraged AFrI to bring it back. While Mullan has nothing to do with the annual walk anymore, professionally it remains one of his most satisfying creations, allowing historical memory to act as a powerful catalyst in highlighting the plight of the world’s poor and dispossessed today. Logistically the walk is challenging to organize and required, and still does, the cooperation of the local Louisburgh community who work closely with AFrI. The first walk was addressed by Fr Niall O’Brien, for whose freedom AFrI had campaigned in 1984. O’Brien’s speech eloquently linked the suffering of Ireland’s 19th Century dispossessed with the on-going suffering of the dispossessed of the Philippines and the majority world in the late 20th Century. The power of the Doolough Walk should not be underestimated. For the first three years of the walk, Mullan was successful in attracting not just Irish television coverage, but also the three big US networks: NBC, CBS and ABC. For three years in a row, each of the broadcasters respectively carried a story about the Great ‘Famine’ coast to coast across the USA. There is little doubt that many of the subsequent Great ‘Famine’ initiatives that sprung up in the USA amongst Irish-American communities found their seed in those broadcasts. From a media perspective, the most successful Doolough Walk was in 1990, when AFrI invited representatives of the Choctaw Nation of Oklahoma to lead the walk. The invitation was due to the fact that their forebears sent US$170 in famine relief to Ireland in 1847. In addition to RTE and the American network, ABC, Mullan also attracted the interest of Worldwide Television News who went on to broadcast a news piece on the walk in 56 countries worldwide. The coverage clearly demonstrated that AFrI, while small, could impact globally.